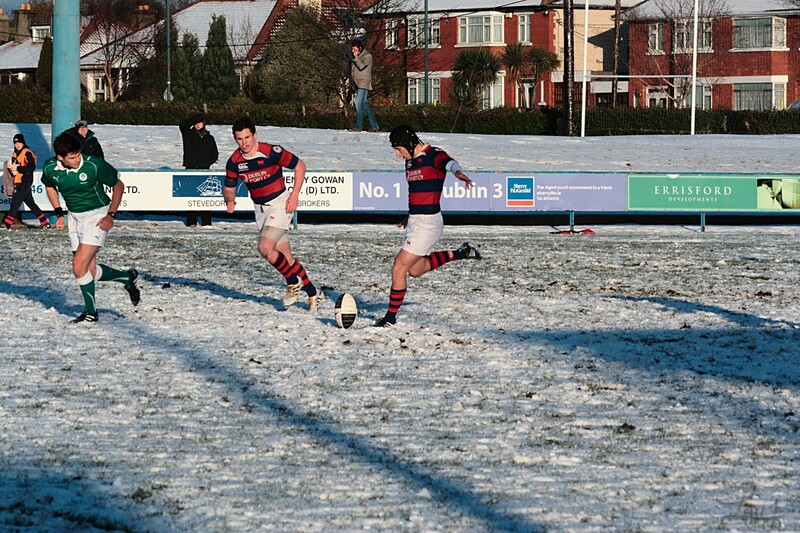 As is now a welcome addition to Clontarf’s Game day enjoyment. 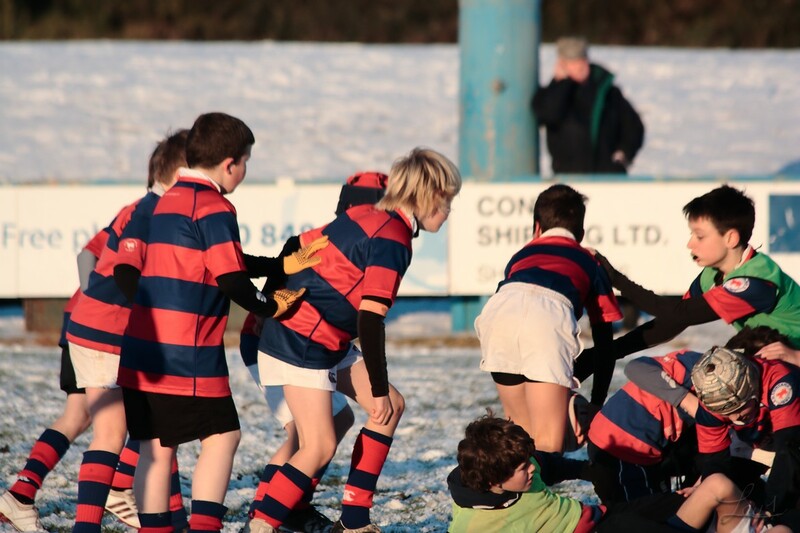 The Minis play a bit during the first team half time break. 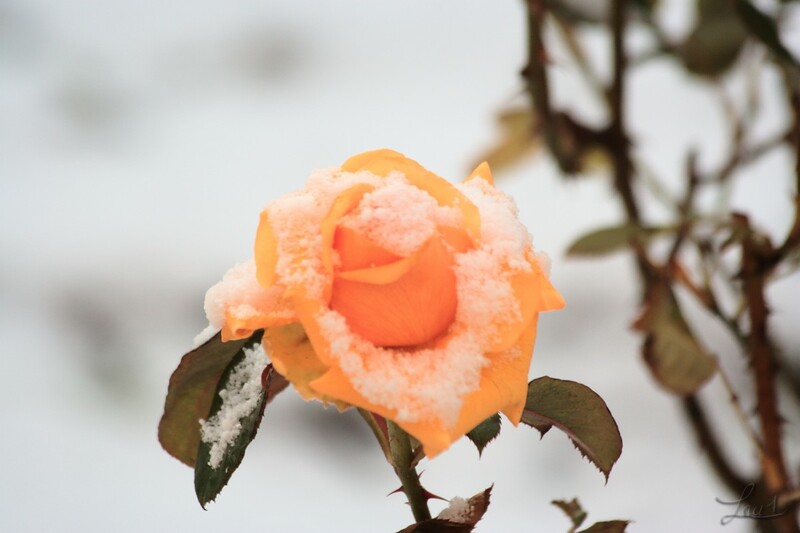 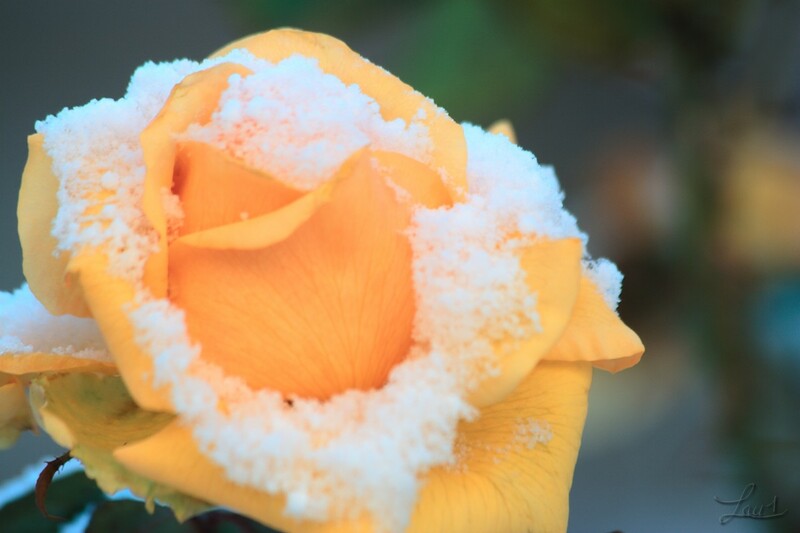 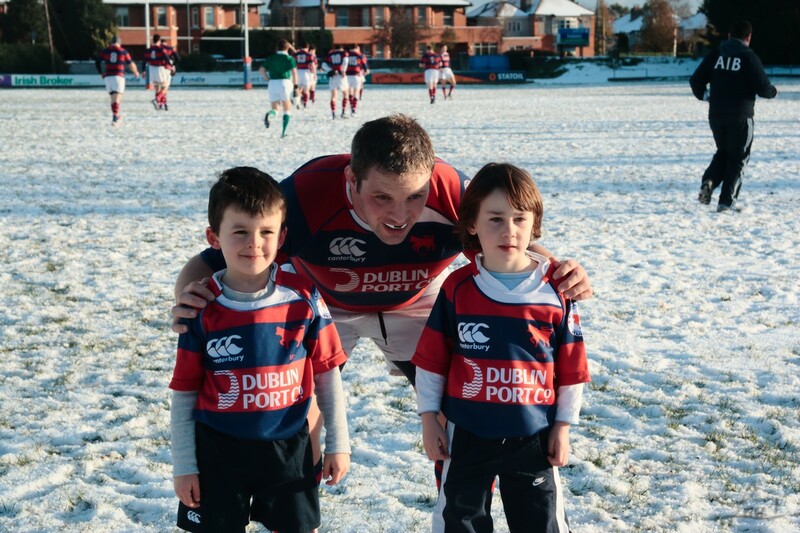 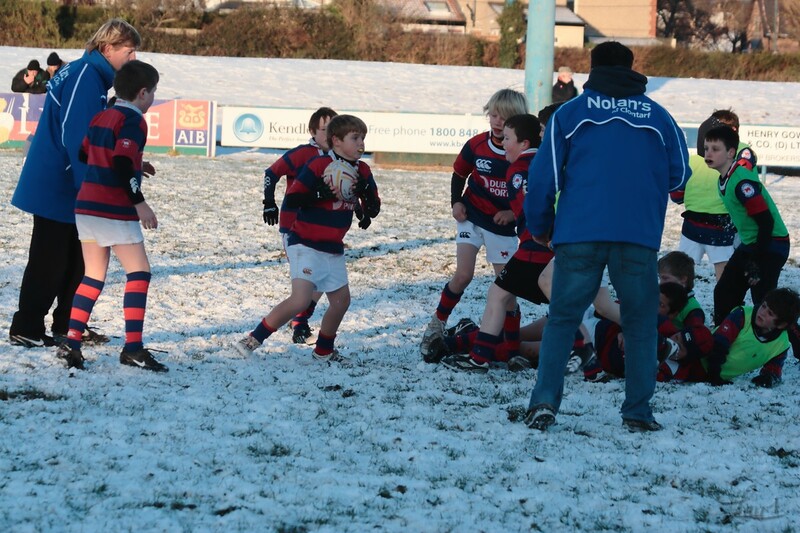 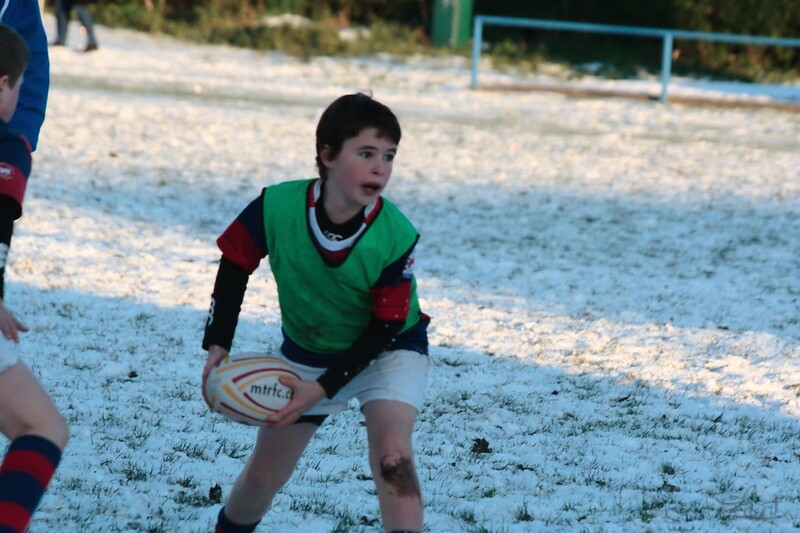 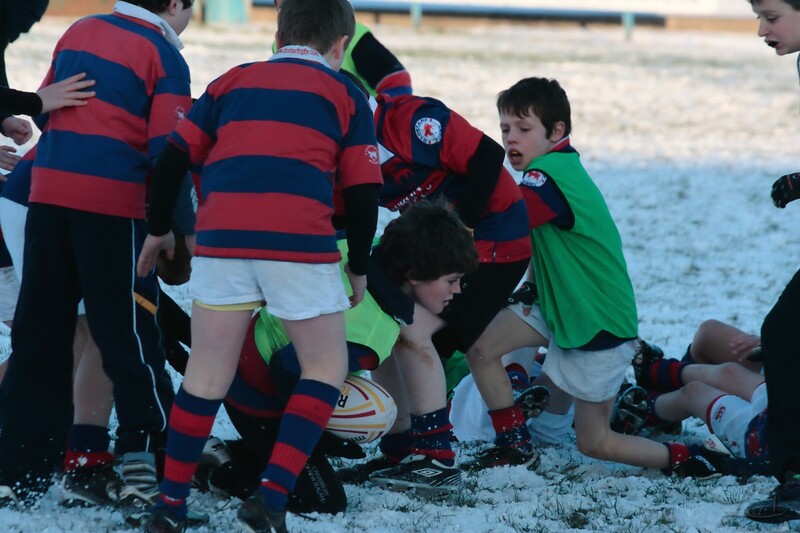 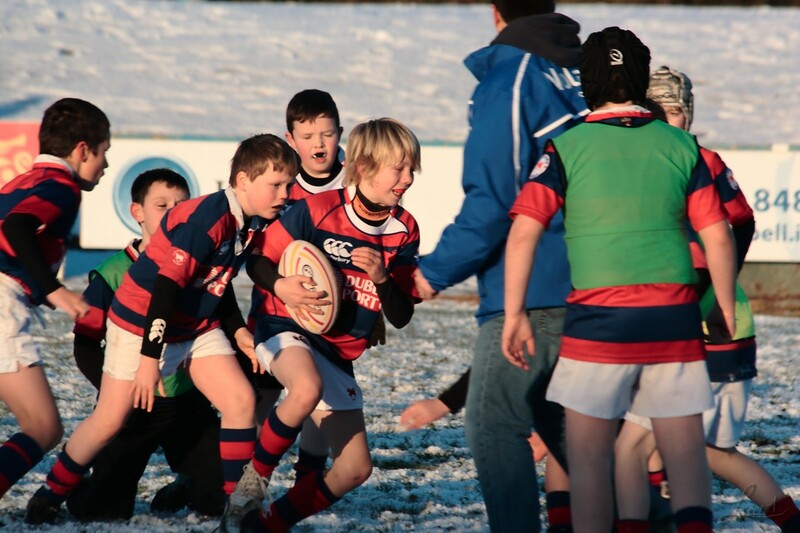 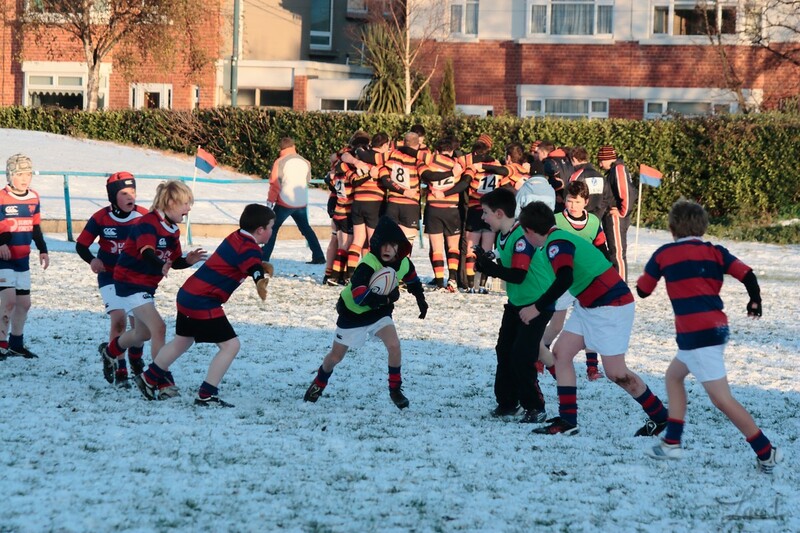 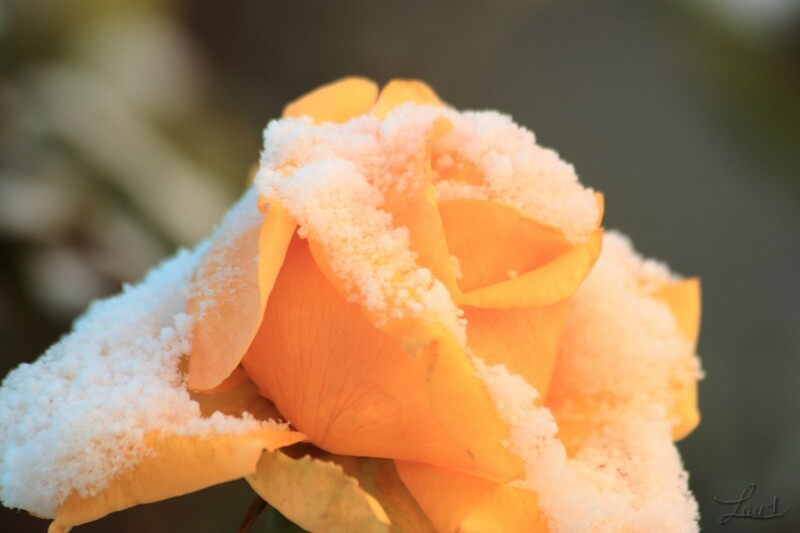 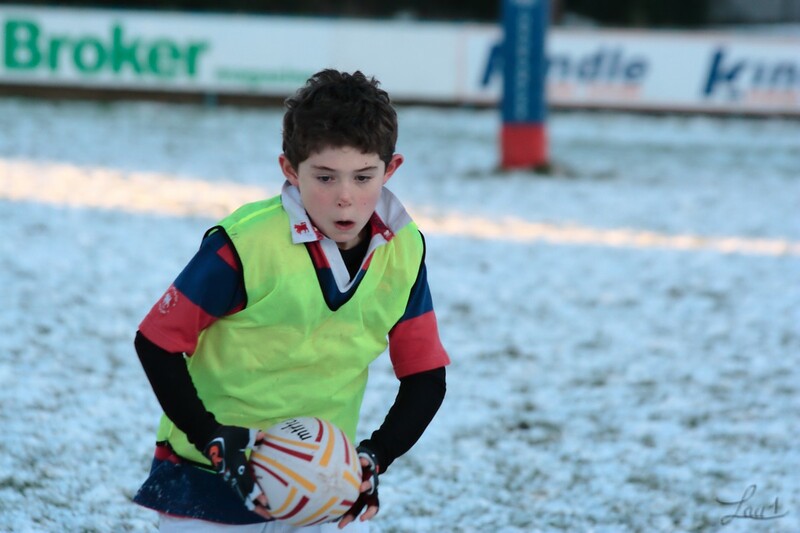 Yesterday the Under 11 braved the snow (or maybe they enjoyed it’s rare appearance). 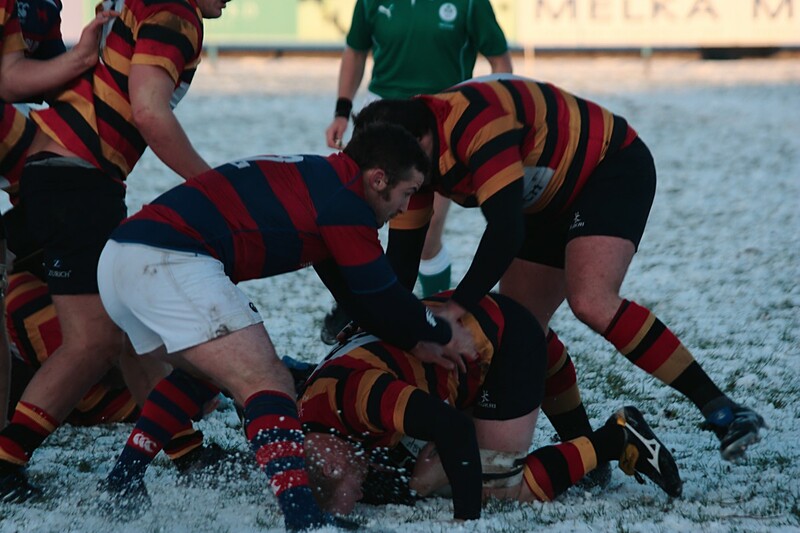 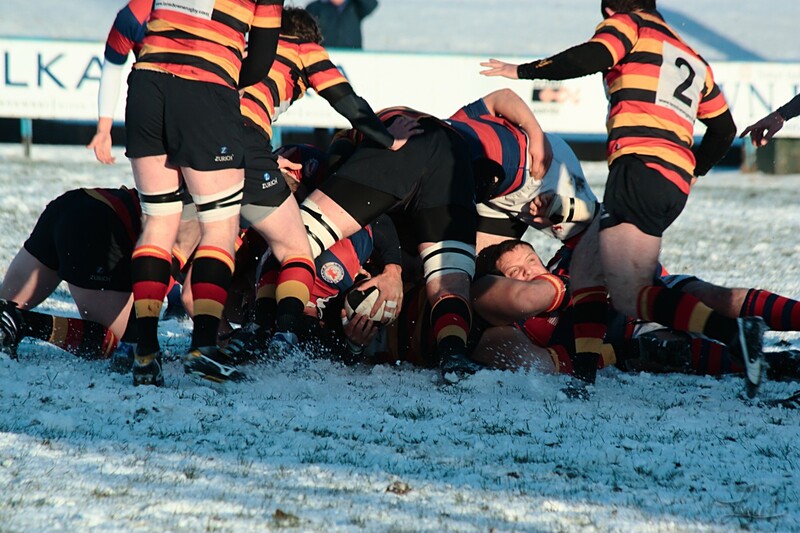 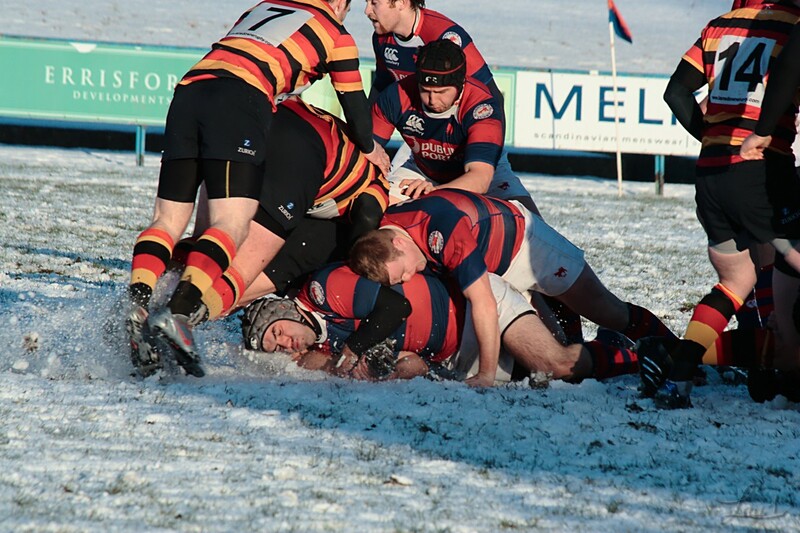 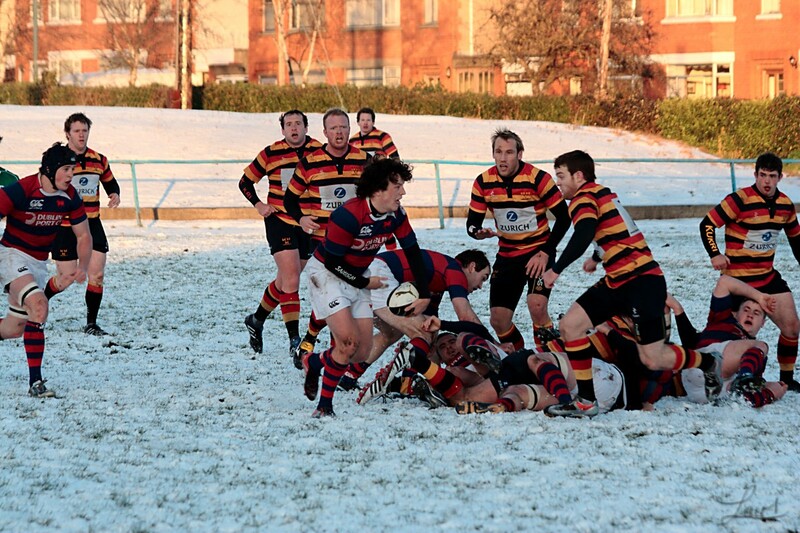 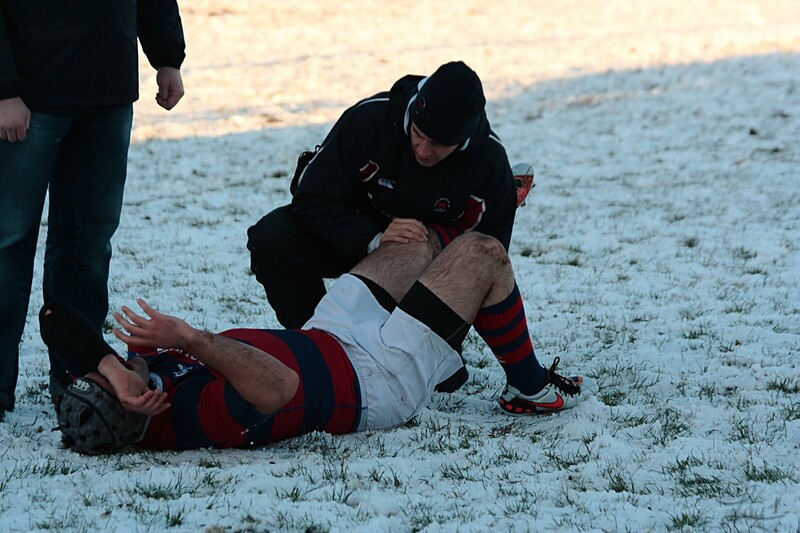 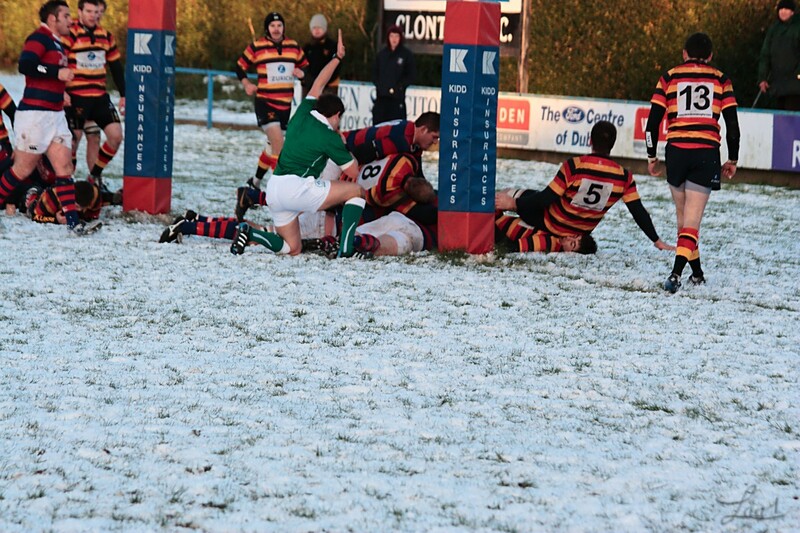 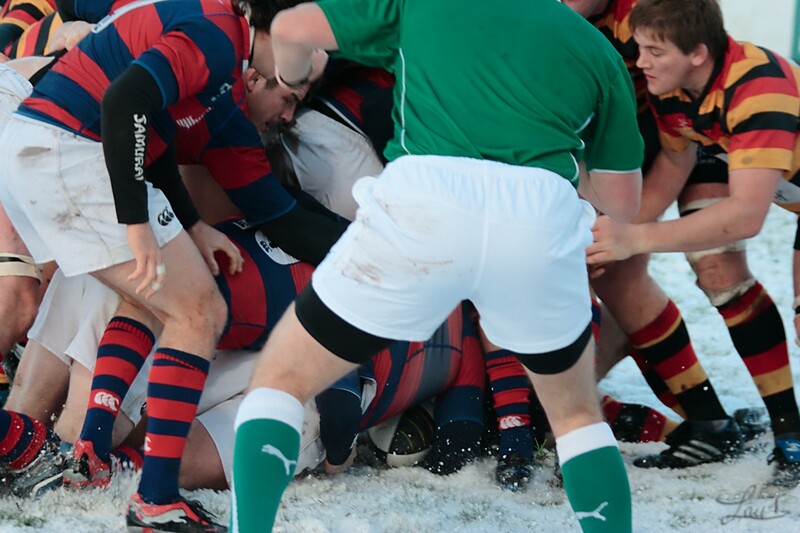 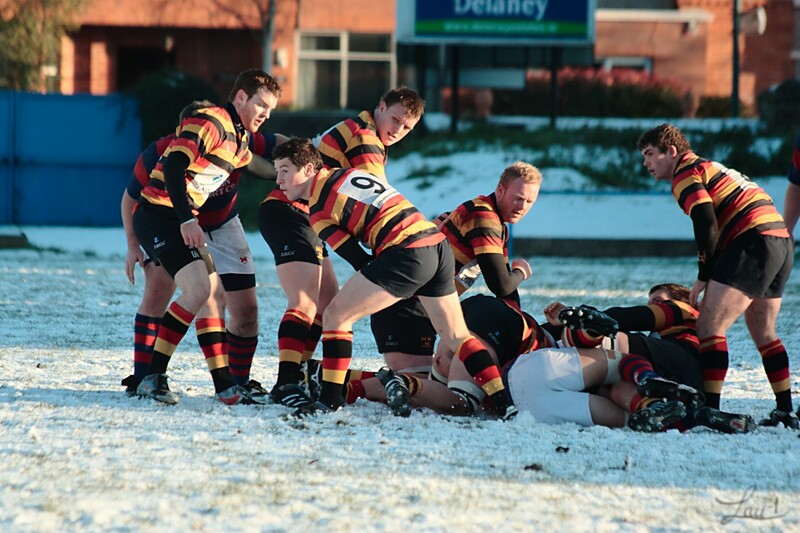 Despite the weather being a bit nippy AIL Rugby was still on this afternoon. 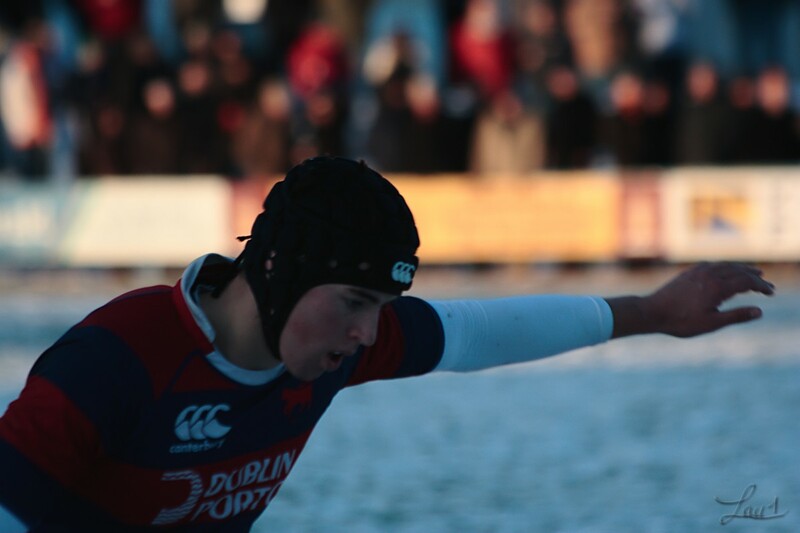 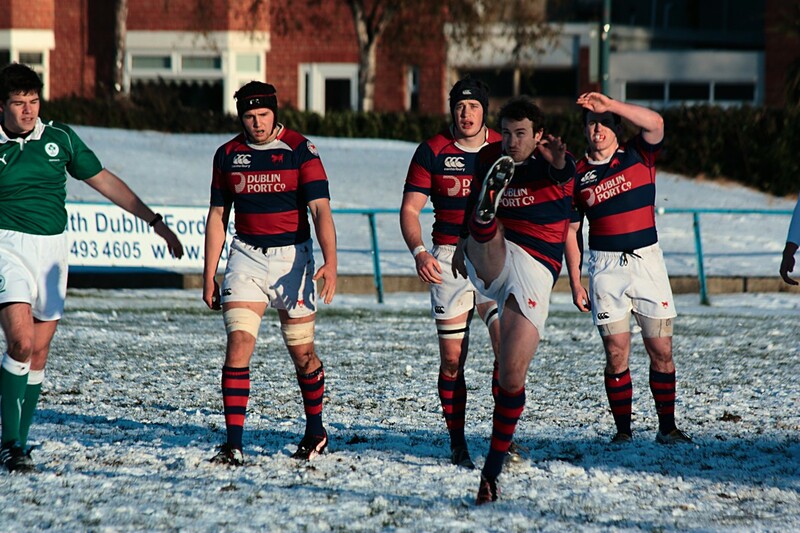 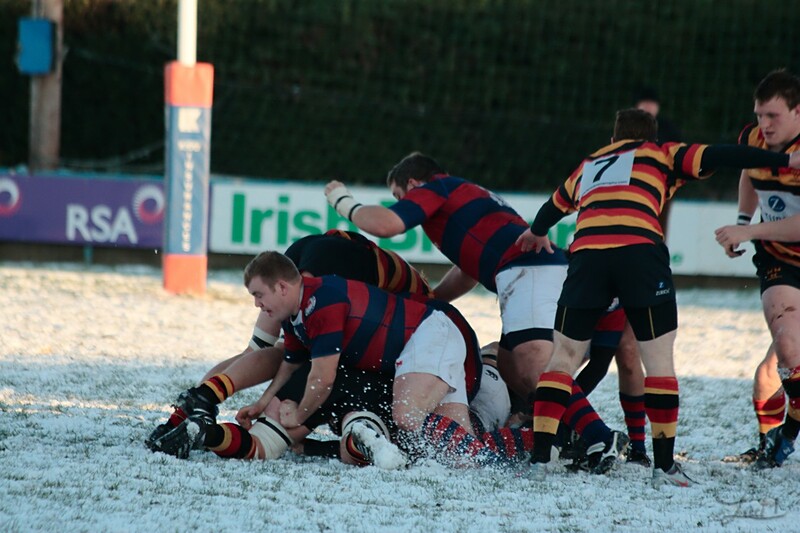 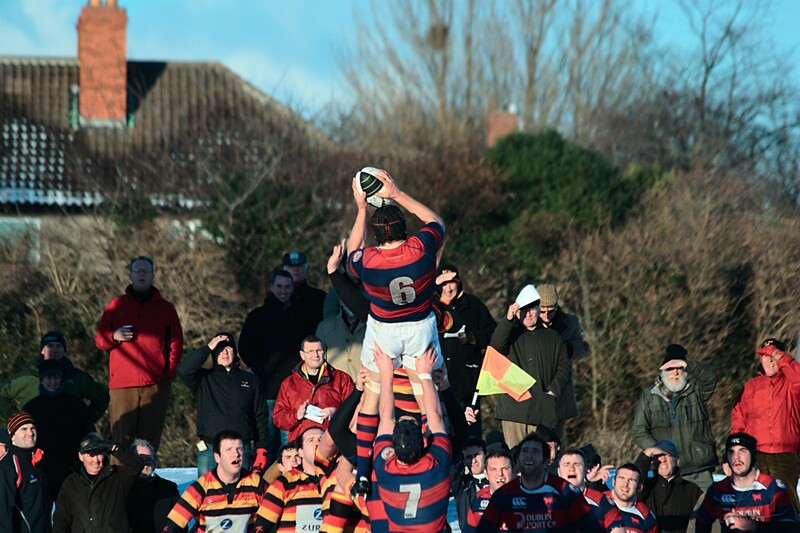 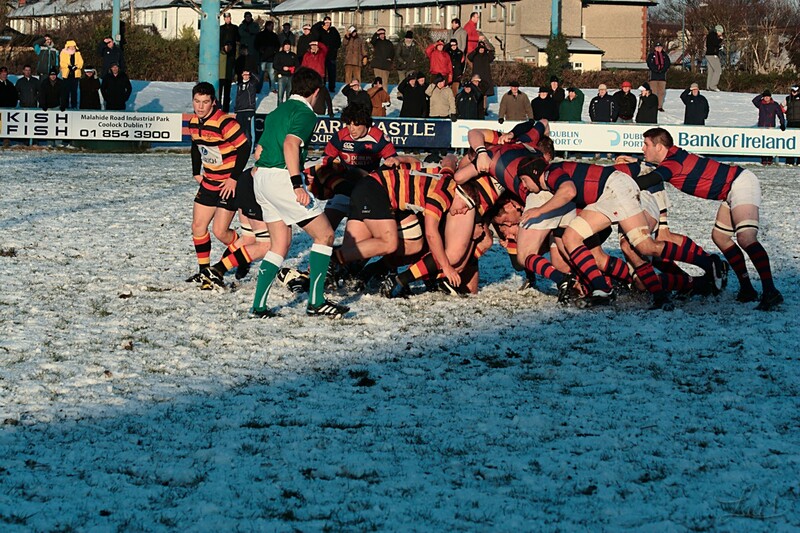 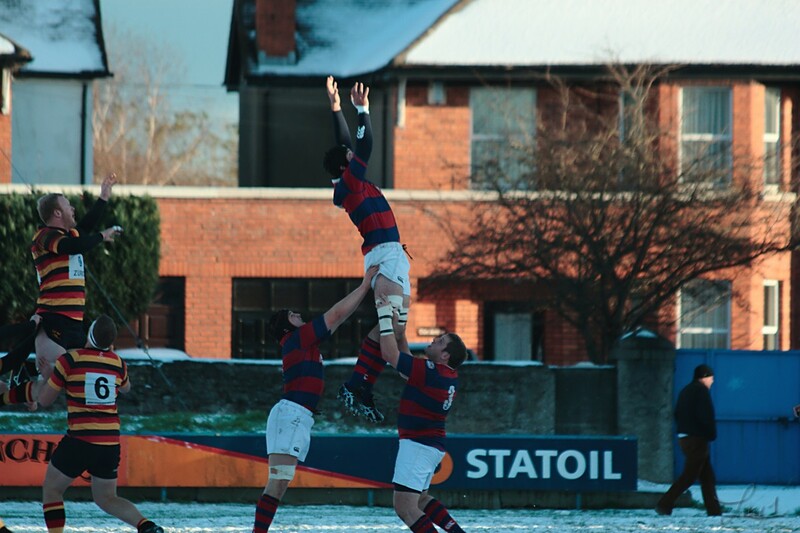 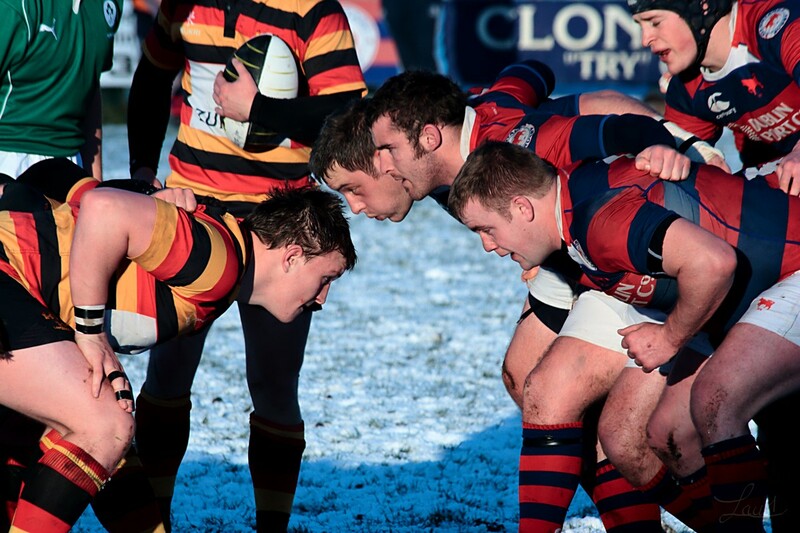 Clontarf entertained Lansdowne in Casttle Avenue. 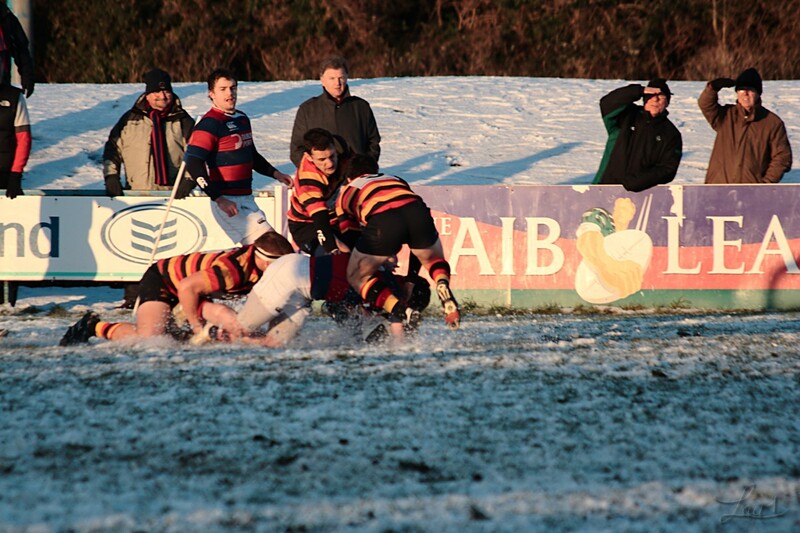 After a very good start Lansdowne slowed down and the hosts took advantage. 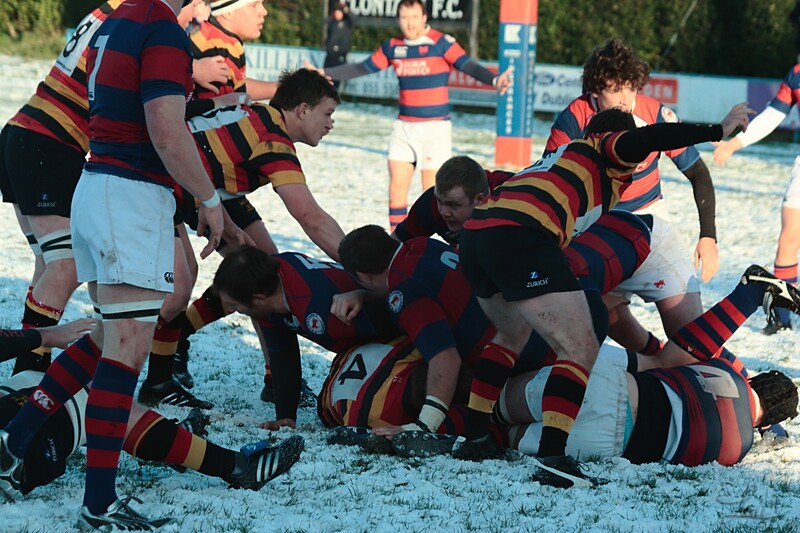 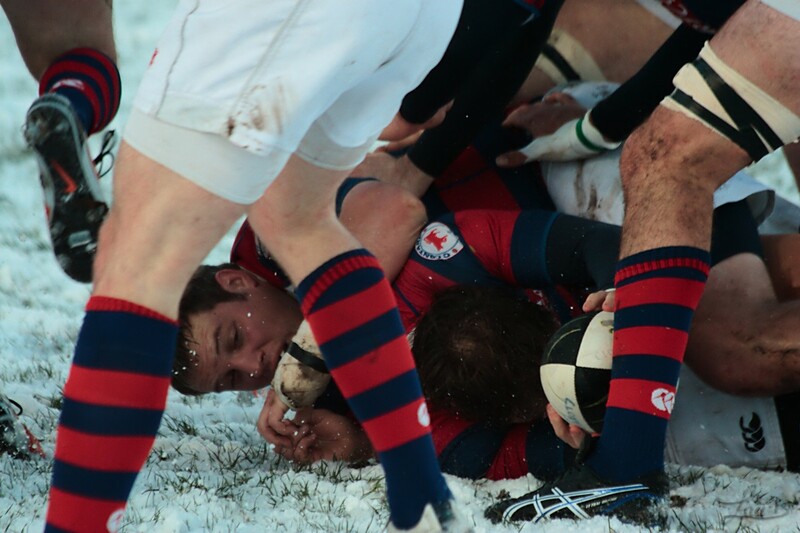 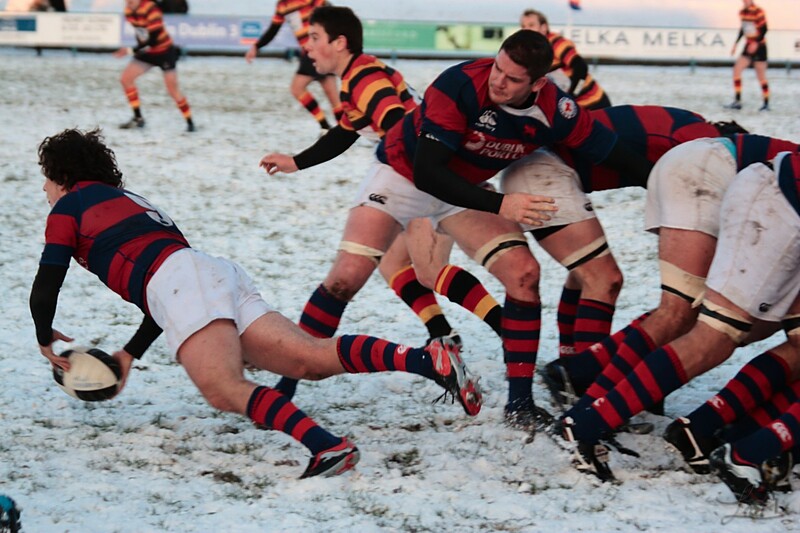 Clontarf finished up the game defending their try line thanks to a spirited comeback from Lansdowne. 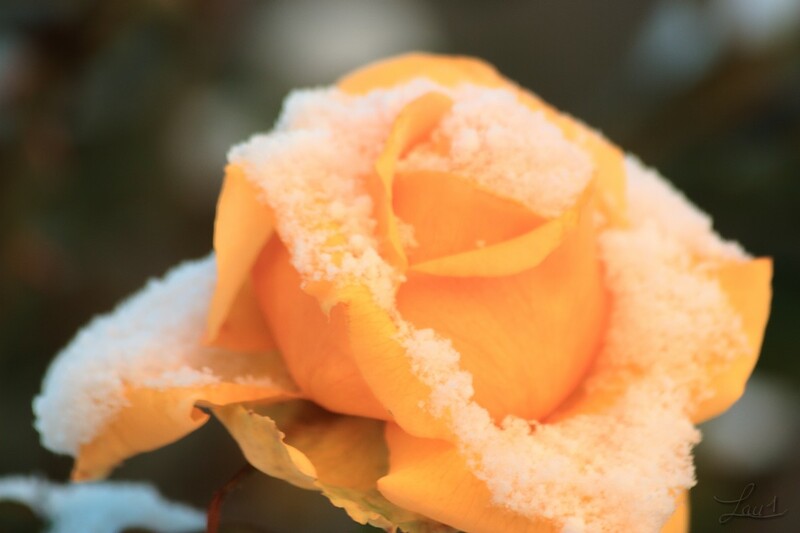 The complete set of picture is on Flickr. 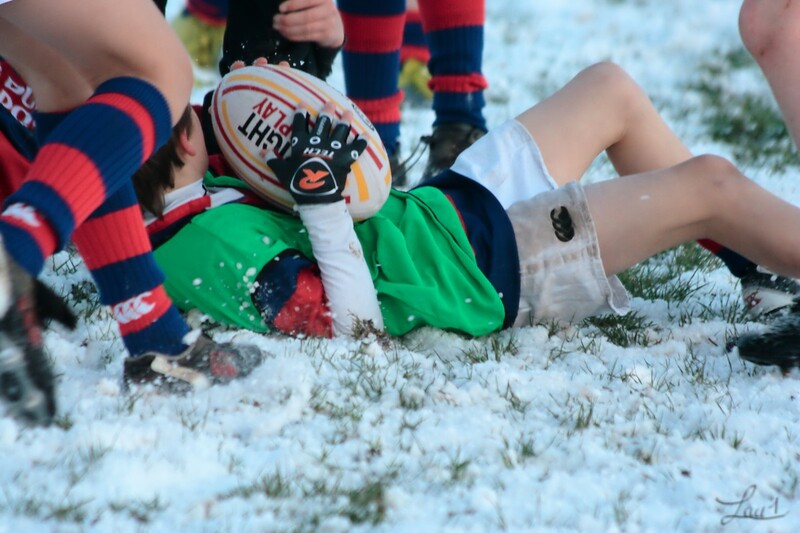 C’est l’hiver pour de vrai, les bernaches cravant sont réapparues, je ne suis pas resté très longtemps sur la plage le froid n’était pas impressionnant mais le vent et rester immobile couché sur les cailloux l’était. 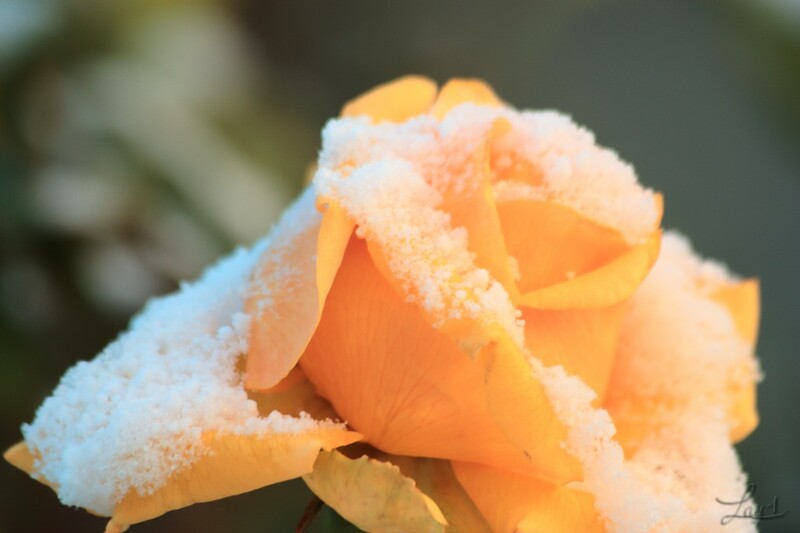 Winter is here for real, the brent geese have come back, I did not stay very long on the beach it was not that cold but the wind and staying still while lying on the stones was too cold for confort. 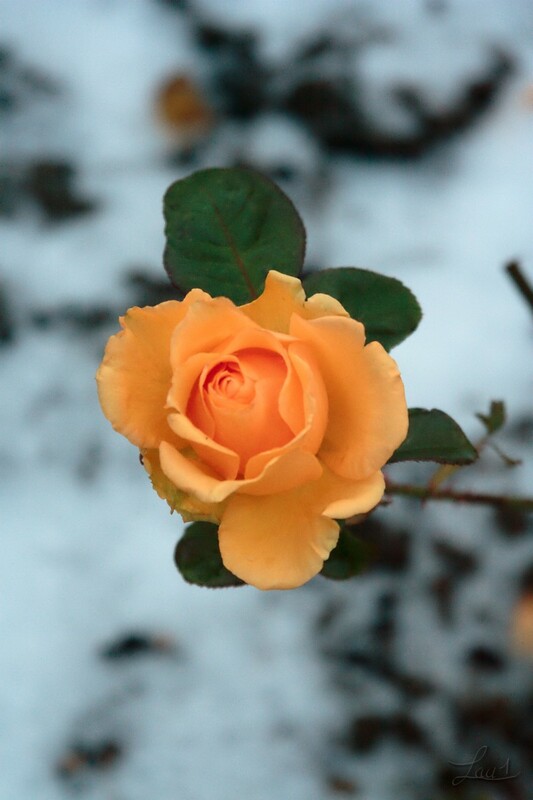 Liste de nos amis, Bergeronette, Pluvier gris, Grand Gravelot, Tournepierre, Chevalier gambette, Héron, goéland argenté, Bernache cravant, Courlis. 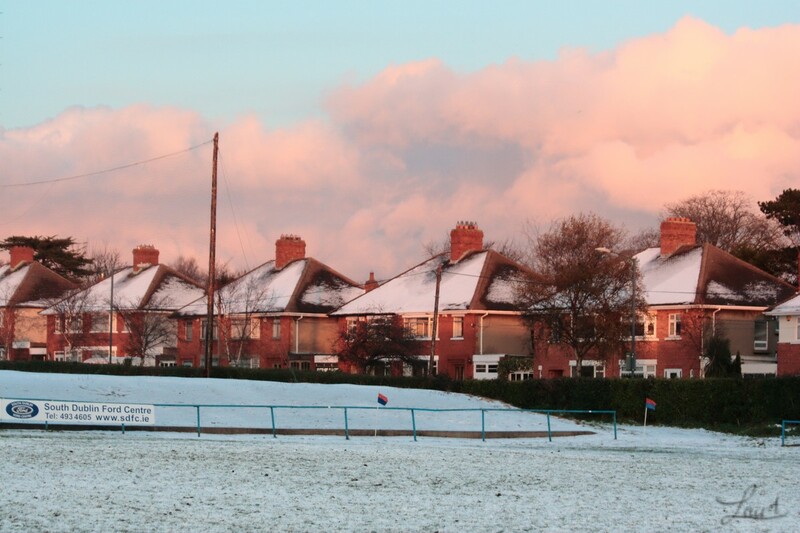 A quick list, pied wagtail, grey plover , ringed plover, turnstone, redshank, Heron, Herring gull, Brent geese, Curlew.